Police In Spain Record UFO Near Their Vehicle Watching Them, Jan 20, 2019, Photos, UFO Sighting News. Here is a UFO hovering over a police car in Spain this week. The UFO is cloaked, but was revealed by the flashing blue lights of the police vehicle. 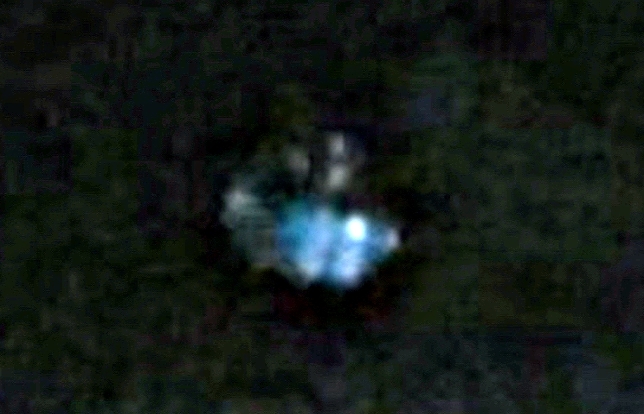 The UFO appears to be small, about .5 to 1 meter across. Being so small makes me think that its probably an alien drone device, since our planet cannot support all forms of aliens out there. Our atmosphere is probably toxic and deadly to some species. Also the fact that this UFO is watching the police and recording their activities is amazing.